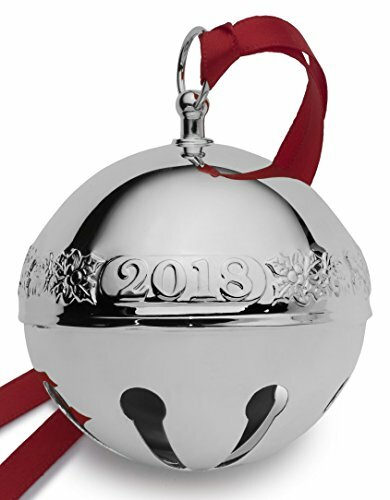 This Wallace Silver plated ornament will add a beautiful touch of joy to a holiday package, tree or mantel. This beautiful collectible comes embossed in the center with the year 2018 connected by candy canes and mistletoe. This is the 48th edition of this treasured annual collectible. Comes in a gift box, and includes a ribbon and protective velvet pouch and is handcrafted by skilled silversmiths in the USA. If necessary, polish with Silver polish, use as directed. If you have any questions about this product by Wallace, contact us by completing and submitting the form below. If you are looking for a specif part number, please include it with your message.